What exactly has the world learned from Munich 1938, and is it the correct lesson? If anything, West Europeans after World War II drew conclusions that were closer to Chamberlain’s thinking in 1938 than Churchill’s. 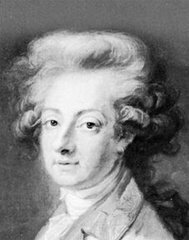 After two catastrophic wars, Europeans decided to build institutions that would make military conflict redundant. Henceforth, diplomacy, compromise and shared sovereignty would be the norm, and romantic nationalism based on military prowess would be a thing of the past. Out of the ashes of war a new kind of Europe arose, as did a new kind of Japan (which even had a pacifist constitution, written by idealistic Americans but gratefully accepted by most Japanese). Nationalism (except in soccer stadiums) made way for smug self-satisfaction, for having found a more civilized, more diplomatic, more pacific solution to human conflict. Of course, the peace was only kept because it was guaranteed by a nation – the United States – that still stuck to pre-World War II notions of national and international security. But Europeans, or many of them in any case, conveniently ignored that. Too much dependence has also had an infantilizing effect. Like permanent adolescents, Europeans and Japanese crave the security of the great American father, and deeply resent him at the same time. All this is making the Western alliance look incoherent and, despite its vast wealth coupled with American military power, strangely impotent. It is time for European democracies to make up their minds. They can remain dependent on the protection of the U.S. and stop complaining, or they can develop the capacity to defend Europe, however they wish to define it, themselves. The first option may not be feasible for very much longer in the twilight days of Pax Americana. And the second will be expensive and risky. Given the many divisions inside the EU, Europeans will probably just muddle on until a serious crisis forces them to act, by which time it could well be too late." Ian Buruma is a contributing editor to Opinion and a professor of human rights at Bard College. "The whole thing took perhaps half an hour 60 years ago. But Robert Maistriau has never forgotten that moonlit night on a Belgian railway line in April 1943 as he scrambled to open the doors of a cattle truck and urged the terrified Jews inside to get out and run away. Shots rang out from the German guards, but in the confusion 17 prisoners escaped. Later, further down the track, 200 more managed to flee. The unlucky 1,400 left on the train reached their destination: Auschwitz. Few lived to tell the tale. Years later he was recognised as a "righteous gentile" by Israel's Yad Vashem holocaust centre for helping persecuted Jews. And there were meetings with survivors or their children at ceremonies commemorating the heroism of that long-ago night. "At one of them," he says, sounding bemused, "a woman came up to me and kissed me, and said: 'You saved my life.'"" "Israel's new United Nations Ambassador, Professor Gabriella Shalev, is fuming. In a talk with Ynet, Shalev blasted UN General Assembly President Miguel d'Escoto Brockmann, who hugged Iranian President Ahmadinejad following his anti-Semitic speech. Brockmann himself delivered an anti-American speech and also harshly criticized Israel. "To my deep regret, in my first session representing Israel I was forced to hear d'Escoto and I found it hard to believe what I was hearing," she said. "In his speech, d'Escoto declared war on the United States and World Bank, and also dedicated a whole paragraph to Israel, saying that the UN's great failure is the fact that a Palestinian State was not established in 1947, as part of the partition plan." "The man is known for his dislike for Israel, to put it mildly, and those who heard the speech could think that Israel is the most important country in the world, as if there are no other problems or hotbeds of terrorism in the world," Shalev said. Israel's ambassador is also upset at d'Escoto's warm embrace of President Ahmadinejad. "I heard that the Iranian president's address was followed by loud applause, and that d'Escoto warmly embraced him," she said. "He was also expected to join a dinner with Arab leaders to mark the end of Ramadan, with Ahmadinejad also in attendance."" According to his biography on Wikipedia, Brockmann is a Catholic priest and used to be an official with the World Council of Churches. What a surprise! The 10-14 September conference, entitled "Promised Land", involves about 65 theologians and church leaders from all over the world. "The churches have a role to play in demystifying and exposing the manipulation of religion in this situation, while working for the respect and legitimate place of all religions in the region," Kobia told the gathering. He compared the Bern meeting to conferences organized by the WCC as part of its Programme to Combat Racism, which campaigned against minority white rule in southern Africa. "Not since the time of the struggle against South African apartheid in the 1970s and 80s has the WCC had such an overwhelmingly positive response to the invitation to come to a 'conference'," he said. "My hope is that this signifies our renewed energy in participating in the struggle against another apartheid situation," Kobia added. The Bern event is part of the WCC's Palestine Israel Ecumenical Forum initiative, which was launched in 2007 at a meeting in the Jordanian capital, Amman. The Amman conference, Kobia told the Bern event, "played a key role in reminding us of the significance of the Christian presence in the region; the presence of an indigenous Christian church whose very viability is threatened by the effects of the occupation." -According to its website, The World Council of Churches (WCC) "brings together 347 churches, denominations and church fellowships in more than 110 countries and territories throughout the world, representing over 560 million Christians". -major supporter and leader of the anti-Israel boycott and divestment campaign. -active in efforts to demonize Israel at the UN. -funds the Ecumenical Accompaniment Programme in Palestine and Israel (EAPPI), which uses demonizing terms such as "apartheid" and "war crimes," and promotes boycotts and divestment. -WCC hosted the 2006 "global advocacy week concerning the situation in Palestine and Israel", which was endorsed by a number of NGOs including Caritas Jerusalem and EAPPI, and included "solidarity visits with Christian Peacemaker Teams in Hebron," a "settlement tour with ICAHD" and an opportunity to "witnes[s] the destruction in Jenin Refugee Camp". "Tuesday, September 23, 2008 will go down in history as the day the United Nations General Assembly provided a platform for a head of state to spew unadulterated, vile antisemitism - and the assembled nations of the world clapped. The United Nations has become the largest global purveyor of antisemitism in the world today. In the full knowledge that the president of Iran denies the Holocaust and advocates the destruction of the U.N. member state of Israel, the U.N. invited him to mount the dais and gave him a megaphone [full speech here]. Dictators have pontificated at the General Assembly before. Terrorists like Yasser Arafat have come and gone. 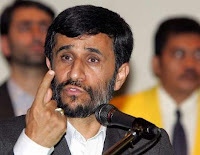 But in the halls of an organization founded on the ashes of the victims of the Holocaust, Mahmoud Ahmadinejad's effort to promote another Holocaust from center stage stands alone. Today, the Zionist regime is on a definite slope to collapse, and there is no way for it to get out of the cesspool created by itself and its supporters." "In Palestine, 60 years of carnage and invasion is still ongoing at the hands of some criminal and occupying Zionists. They have forged a regime through collecting people from various parts of the world and bringing them to other people's land by displacing, detaining and killing the true owners of that land... The Security Council cannot do anything and sometimes, under pressure from few bullying powers, even paves the way for supporting these Zionist murderers (...)"
In its entire history, the United Nations General Assembly has never adopted a resolution dedicated to denouncing and combating the scourge of antisemitism in all its forms. Now we know why. Less than half of U.N. members are fully free democracies and among them there is no consensus that discrimination and demonization of Jews and the Jewish state is wrong. On the contrary, at the U.N. vicious antisemitism is met by a round of applause." "Cristina Fernández de Kirchner, the Argentine President, asked Iran to hand over for local trial former President Rafsanjani and several other citizens suspected of masterminding the bombing the AMIA Jewish centre in Buenos Aires that killed 85 people. "I would ask the Islamic Republic of Iran in accordance with international law ... accept that Argentine justice can put on trial ... those citizens who have been accused," she told the United Nations General Assembly in New York. Argentina wants of the former Iranian President Akbar Hashemi Rafsanjani to be arrested along with seven other Iranians and a former Hezbollah guerrilla leader on accusations of planning the blast. Interpol has issued arrest orders for six of the suspects but the agency cannot force a county to make arrests. Iran on the other hand has continuously refuted taking part in the attack and puts the blame on the United States for framing the Islamic Republic. The attack on the AMIA occurred in 1994, and the bombing incident remains unsolved." A survey conducted by the Pew Research Center found that anti-Jewish feelings are high in several major European Union countries: 46 per cent of Spanish, 36 percent of Poles, 34 percent of Russians, 25 percent of Germans, and 20 percent of French view Jews unfavourably. The most striking feature of the survey is the high percentage of the Spanish who have an unfavourable view of Jews - including 18 per cent who have a "very unfavourable" view. Survey after survey confirm that Spain remains the country in the European Union where citizens consistently express the most hostile opinion of Jews. See ADL survey undertaken in May 2007 here. A positive exception in this alarming landscape is Britain with just 9 percent of respondents rating Jews unfavourably. The reason could be that British media coverage of the Middle East conflict is fairer than in other European countries. When it is not, a number of blogs (see blog roll and many others not listed) are quick to criticize and to offer a different perspective. And it works. The United States remains the friendliest country to Jews and Israel, with only 7 percent admitting to an unfavourable view. The survey findings as far as Muslims are concerned also make depressing reading : 52 percent in Spain, 50 percent in Germany, 46 percent in Poland and 38 percent in France have negative attitudes towards them. Jerusalem-based watchdog NGO Monitor has learned this week that the European Union (EU) has decided not to renew its funding of the Israel Committee Against House Demolitions (ICAHD). In an 'urgent message' to members of ICAHD-USA, the organization's director Jeff Halper announced 'We have just heard that our request for re-funding has been rejected… So we now face a real crisis'. The message went on to plead with supporters for extra funds. For several years, despite its extreme anti-Israel agenda, ICAHD has been a recipient of major EU funding under the Partnerships for Peace framework. The EU has consistently stated that these grants are directed towards specific projects and are not intended as general funds for the organization. However, as NGO Monitor demonstrated in, "Europe's Hidden Hand" an EU grant of 473,000 Euros in 2005 constituted the majority of ICAHD's annual budget. ICAHD consistently manipulates the language of human rights to promote an anti-Israel political agenda. ICAHD routinely refers to Israel as an 'apartheid' state while Jeff Halper promotes a one state solution which would mean the end of Israel as a Jewish state. This is in direct contradiction to the EU's official policy, which promotes a two state solution. Halper played a leading role in the 'Free Gaza' voyage -- a publicity stunt which provided another example of ICAHD's exploitation of human rights and the rhetoric of peace to promote an anti-Israel agenda. NGO Monitor's Executive Director, Prof Gerald Steinberg commented, "ICAHD's façade has finally been acknowledged, and the European Commission has acted appropriately in ending further funding. In reality, ICAHD does nothing to advance coexistence and instead promotes extreme views which fuel the conflict. Following this precedent, we urge the EC to review all such NGO funding in a transparent manner, and establish consistent criteria." "The French have been avidly following the story of Justice Minister Rachida Dati, affectionately called Sarkozette (after President Nicolas Sarkozy, who appointed her), who recently confirmed she was pregnant, but refused to name the father. "As soon as I was appointed to office, I received an invitation to visit Israel. Now I have the chance," she said, her sympathy toward Israel a sharp contrast to her predecessors' attitude. "It's hard to remain indifferent to Israel," she explained. "It is spiritual, democratic, free. In fact, it has a fine democracy. Nobody restricted my objectives for this visit. I had a sense of freedom." Dati was born in 1965 to a Moroccan bricklayer and an Algerian housemaid in Saint-R"my. She spent her childhood in Chalon-sur-Saône, in France's Burgundy region. She was the second of 12 children. Her mother died young, and she had to work in a medical emergency center while going to school. Afterward, she studied economics and business administration and soon obtained a post in the London-based European Bank for Reconstruction and Development. There, she met French economist and scholar Jacques Attali, an associate of François Mitterrand, who is seen to this day as one of her patrons. After establishing herself in the business world, Dati took the advice of another highly placed mentor, former minister and Holocaust survivor Simone Weil, and enrolled in the Ecole Nationale de la Magistrature in 1997. Weil also ordained her for her first judicial position. The hardworking, ambitious Dati met Sarkozy in 1999. Two years later, when he was interior minister, she became his advisor, working for him on an anti-delinquency project. The left despises Dati as Sarkozy's acolyte, while the extreme right looks down on her for her origins. The justice establishment resents the reforms she is pushing, citing her youth. "That's an elegant way of saying I can't do my job, or am inexperienced," she said. "I'm not 20, and experience isn't just joining a party and staying in political work for 30 years. I have varied experience. The old establishments are very conservative, and when someone different enters their territory, it's intolerable to them. The way I do my job should be judged by my actions. 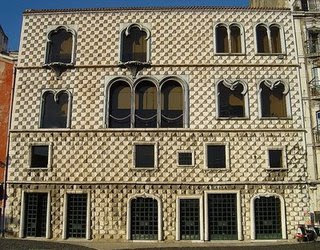 (...)"
The Casa dos Bicos (house of spikes), a historical 16th century building in Lisbon, will be housing the José Saramago Foundation, aimed at preserving his work. The goals of the foundation also include the promotion of (some?) human rights and environmental issues. Readers will recall that José Saramago is the 86-year old Portuguese novelist who won the Nobel Prize in literature in 1998 and who, at least on two occasions - during a visit to Ramallah and in an article in the Spanish newspaper El Pais, made remarks inciting hatred of Israel and Judaism. Six years later, antisemitism is on the rise in Europe (notably in Spain where Saramago lives: a staggering 46% have an unfavourable opinion of Jews (including 18% of very unfavourable opinions)) where such comments have gained legitimacy in some quarters and are still being made by "educated people". "Saramago was part of an international group of writers who traveled to Ramallah to observe the Israeli siege of Yasser Arafat's compound. [...] The situation at Ramallah, in Saramago's estimation, was "a crime comparable to Auschwitz." To the Israeli journalist who asked where the gas chambers were, Saramago gave his much-quoted reply, "Not yet here." But he also explained himself more seriously and at length in the April 21 issue of El Pais, a Madrid newspaper read and respected all over the Spanish-speaking world. "The blond David of yesteryear surveys from a helicopter the occupied Palestinian lands and fires missiles at unarmed innocents; the delicate David of yore mans the most powerful tanks in the world and flattens and blows up what he finds in his tread; the lyrical David who sang praise to Bathsheba, incarnated today in the gargantuan figure of a war criminal named Ariel Sharon, hurls the 'poetic' message that first it is necessary to finish off the Palestinians in order later to negotiate with those who remain." "Intoxicated mentally by the messianic dream of a Greater Israel which will finally achieve the expansionist dreams of the most radical Zionism; contaminated by the monstrous and rooted 'certitude' that in this catastrophic and absurd world there exists a people chosen by God and that, consequently, all the actions of an obsessive, psychological and pathologically exclusivist racism are justified; educated and trained in the idea that any suffering that has been inflicted, or is being inflicted, or will be inflicted on everyone else, especially the Palestinians, will always be inferior to that which they themselves suffered in the Holocaust, the Jews endlessly scratch their own wound to keep it bleeding, to make it incurable, and they show it to the world as if it were a banner. Israel seizes hold of the terrible words of God in Deuteronomy: 'Vengeance is mine, and I will be repaid.' Israel wants all of us to feel guilty, directly or indirectly, for the horrors of the Holocaust; Israel wants us to renounce the most elemental critical judgment and for us to transform ourselves into a docile echo of its will." Israel, in short, is a racist state by virtue of Judaism's monstrous doctrines - racist not just against the Palestinians, but against the entire world, which it seeks to manipulate and abuse. Israel's struggles with its neighbors, seen in that light, do take on a unique and even metaphysical quality of genuine evil - the quality that distinguishes Israel's struggles from those of all other nations with disputed borders, no matter what the statistics of death and suffering might suggest. "Ah, yes, the horrendous massacres of civilians caused by the so-called suicide terrorists.... Horrendous, yes, doubtless; condemnable, yes, doubtless, but Israel still has a lot to learn if it is not capable of understanding the reasons that can bring a human being to turn himself into a bomb." And so, the deliberate act of murdering random crowds turns out to be the fault of the murdered - or, rather, of the monstrous and racist doctrines of their religion, which is Judaism." "The European Union's counterterrorism coordinator Gilles de Kerckhove says Lebanon's Hezbollah is not on the list of terror groups. 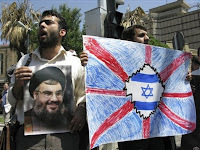 Gilles de Kerckhove said the EU would not put Hezbollah on the list of terror groups because several member states, including France, oppose such a move. The EU official made the comment in a seminar on 'Terrorism and Europe' organized at the European Parliament in Brussels. According to de Kerckhove, the reluctance of several to take a step against Hezbollah lies in the fact that it is represented in the government of Lebanon. "It plays a role on the Lebanese political scene and several countries think that this could bring them closer to the democratic process," he added. German Liberal MEP Alexander Alvaro, one of the co-sponsors of the call to blacklist Hezbollah, said that "900 Hezbollah sleepers are stationed within Germany." "The situation is probably not very different elsewhere," underlining that a terrorist group label would enable the "drying out of its activities in Europe." "The head of the French state-owned television has accepted a demand from a Jewish community leader to set up an independent working group of experts to examine a controversial tv broadcast about the death of a Palestinian boy in 2000. The agreement came after a meeting between Patrick de Carolis, president of France Télevisions, and Richard Prasquier, head of CRIF, the umbrella group of French Jewish organizations. Earlier this year, Prasquier had called for the creation of an independent multidisciplinary commission of inquiry "to establish the reality of the facts" in the so-called Mohammed Al Dura tv broadcast. On 30 September 2000, a broadcast by France 2 television station showed the killing of the 12-year-old Mohammed Al-Dura in the arms of his father during an exchange of gunfire between Israeli soldiers and Palestinian gunmen at the Netzarim junction, in the Gaza Strip. The report by France 2’s longtime Jerusalem correspondent Charles Enderlin, which was based on footage taken by the station’s Palestinian cameraman in Gaza, accused Israeli troops of killing the boy as he and his father took cover. The France 2 images shocked the world, made al-Dura an icon in the Arab world and provoked widespread Palestinian and Arab anger against Israel. But the head of French media watchdog "Media-Ratings", Philippe Karsenty, later questioned the veracity of the tv report and accused Enderlin, who was not on location during the fighting, of having manipulated the footage that showed Al-Dura’s dead. He said the killing of the boy was staged. An Israeli army investigation had concluded that it was not responsible for Al-Dura’s death. France 2, which stands behind its correspondent and the Palestinian cameraman who made the report, had sued Karsenty for libel." Osama Hamdan, the Hamas representative in Lebanon, said, "We [the Hamas] are preparing for a conflict, not just as preparation for Israeli aggression - as that entity is based on aggression - but rather because the final goal of the resistance is to wipe that entity off the face of the earth. This goal requires the development of the abilities of the resistance, until that entity is eliminated." (Al Kawthar Iranian TV station, 6 August 2007). On the day commemorating the Naqba [the "catastrophe", the term used by Arabs to refer to Israel's achieving statehood], Hamas prime minister Ismail Haniyeh gave a speech in which he stressed, "We are concentrating on politics but have not abandoned our arms" (al-Hayat al-Jadeeda, 15 May 2007). In a speech given at one of the Gaza mosques on 21 May, Haniyeh called on the Palestinians to adhere to the option of "resistance" to the "occupation", giving his opinion that resistance is the best way to be saved from the occupation. He promised to continue the resistance until shahada [martyrdom, death for the sake of Allah] or victory (Hamas website, 21 May 2007). In an interview to a Hamas-affiliated weekly, Haniyeh said: "Hamas has been true to its principles and true to the resistance and there is no change in its permanent strategic positions [i.e., non-recognition of Israel 's right to exist]… The basic guidelines of the unity government do not contradict the principles of the Palestinian people and the resistance was even the main element in the basic guidelines, as evidenced by the fact that the Americans, Israel and many European states believe that the government did not fulfill the international demands and that its basic guidelines do not meet the Quartet's conditions" (a-Rasalla, 19 April 2007). In another interview, Haniyeh claimed, "Israel attacks all our legitimate rights. Therefore our government affirms that all resistance to occupation by all methods is the legitimate right of the Palestinian people" (Novsimaya gazeta, 19 March 2007). "Resistance is the only way for Palestine 's liberation and that is the serious and non-tactical option of all Palestinians" (IRNA, 10 December 2006). Haniyeh praised the female terrorist Fatma al Najjar aged 57 [who blew herself up near Israeli forces in Jabaliyah on 23 November 2006]: "She wore the uniform of Jihad, read her last will, took her weapons and went to fight the enemy" (Aljazeera TV, 6 December 2006). Haniyeh: "There will be no dialogue or negotiations with the Occupation, but rather resistance and steadfastness" (Aljazeera TV, 6 December 2006). Khalid Mash'al, Head of the Hamas Politbureau, said, at a rally marking the third anniversary of the death of Sheikh Yaseen, "The Hamas movement has sacrificed Yihya Ayyash, Jamal Mansur, Salah Shehadah and others. Hamas has sacrificed all these but will not retreat from its course, whatever the doubts that others may express. We shall never give up an inch of the fatherland nor any of our rights nor any part of our land... We shall go the way of resistance, which is not a straight line but means blows, clashes, one round after another, attacks and withdrawals. The course is to Palestine, to cleanse Jerusalem and Al-Aqsa. This is our way against the occupation. Hamas was and always will be strong in Jihad [holy war] and Istish-had [suicide bombings]" (Aljazeera TV, 6 April 2007). Bronislaw Geremek will also be remembered for having been one of a few European law-makers who had the courage to oppose (sadly without success) an anti-Israel conference held in the precincts of the European Parliament in 2007 under the auspices of a UN committee for Palestinian rights (see here and here). 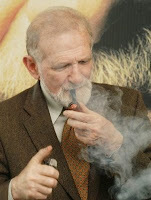 These are the first words that come to mind when thinking of my friend, the late and beloved Bronislaw Geremek. As a son of Holocaust survivors, I’ve always admired greatly those who not only somehow managed to survive the Shoah, but also managed, perhaps against all the odds, to find faith in humankind after the darkness that descended. Professor Geremek was one such survivor. He emerged from the inferno, summoned the strength to put one foot in front of the other, and relearned the meaning of a more hopeful future. As a child of the Cold War, I’ve always admired those who, at incalculable risk to themselves, challenged their oppressors behind the Iron Curtain and ultimately exposed the bankruptcy of the system. Professor Geremek was a giant, one of those intrepid figures who toppled a seemingly indestructible structure built on what I would call the four tyrannies—repression, fear, deceit, and corruption. As a beneficiary of democracy, I’ve always admired those who, denied it, stood tall in its pursuit and paid a heavy price for its achievement. Professor Geremek, in his enviable diplomatic style, was central to achieving, in the words of The Economist, the "communist surrender," and restoring Poland to its rightful place in the family of nations that cherish human freedom, human dignity, and human rights. As an unabashed fan of the European Union, undoubtedly the most ambitious and successful peace project in modern history, I’ve always admired those who fought to make it a reality—and those who saw clearly the future in their countries’ accession to the European project. Professor Geremek helped plant the seeds for Poland’s eventual membership in the European Union and, later, as a Member of the European Parliament, where I last saw him, he spoke of a mission half accomplished—Europe was created, he famously said, but Europeans were still in the making. He was working on it until his untimely death! As a firm believer in the transatlantic alliance, I’ve always admired those who recognize that this unique partnership was and, I should underscore, is vital for global stability and the defense of shared values. Professor Geremek was Poland’s distinguished foreign minister when his country, in 1999, proudly joined NATO, quickly becoming one of its most committed members. Like the other speakers—and I am honored to be in their company—I could go on at length describing the traits of this remarkable man who all of us gathered here at the National Endowment for Democracy so deeply admired. Suffice it to say that Professor Geremek, early in life, became a witness to history, then, literally, its prisoner—first under the Nazis, later the Communists. He lived, remarkably, to become an author of history. No, I don’t mean an author about history, though, to be sure, he was that as well—and, to boot, with his trademark beard, pipe, and tweed jacket, he came straight from central casting. I mean an author of history, a title that precious few can legitimately claim. An author of the single most important historical event of the past sixty years—the end of the Soviet empire. What an extraordinary loss that he was taken away from us—and from all that he yet planned to do, drawing upon his inexhaustible fount of energy and creativity—too soon! May his memory, as we say in the Jewish tradition, forever be a blessing. May his righteousness and steadfastness be sources of inspiration for all who believe in the indivisible rights of man. And may we cherish the example, on this very special anniversary, September 11, and every day, of those brave few—who unflinchingly faced the tyrants, who stood unbent and unbowed in the long and difficult struggle, and who emerged triumphant to create a new dawn." "And I am reminded now of how Benjamin Netanyahu released Sheikh Ahmed Yassin from prison after two of Israel's Mossad would-be killers tried to murder Khaled Meshal of Hamas in Amman. King Hussein had angrily demanded the antidote to the poison they gave Meshal – which is how Yassin obtained his release. Then, after Yassin had been greeted by his Palestinian followers and gone ranting on about the need to avoid recognition of Israel, praising suicide bombers into the bargain, an Israeli pilot fired a missile into his wheelchair – not exactly a noble act since the old man was a cripple – and once again we heard about the barbarity of the now dead Yassin." The master (some call him venomous professional hate pedlar, but this is not my point), takes two true incidents: 1) release of the Sheikh by Bibi and 2) Sheikh's demise by metal poisoning. Fisk conveniently forgets that the first incident (release) happened in 1997, while the second (demise) in 2003. Thus creating an impression that the Sheikh was released just to be cruelly cut down in prime of his free life. And of course, he doesn't mention several hundreds of murdered and several thousands wounded and traumatized for life (during this period) Israelis, and the much higher numbers of Palestinians sharing the same fate as a result of our response. A major part of this feast of death was inspired by the poor, paraplegic, nearly blind and confined to a wheelchair monster. But why should Fisk mention all this? After all... but see above re the mislead and confused. And re "venomous professional hate pedlars" - yeah, let's leave it alone for now. After all, you have to do something with your spare time." The great conspirationist's wax effigy is back on display, with a slightly different look. One can only wonder what the Führer would have made of the recent survey showing that 24% of Germans believe in conspirationist theories relating to 9/11 (23% believe the US was behind and 1% that it was Israel). "He's back. Two months after a visitor ripped the head off a controversial Hitler waxwork at the new Berlin branch of Madame Tussaud's, the museum is again displaying the figure, this time protected by a wall and extra security. Some aspects of the display have remained the same – the effigy of the Nazi dictator still appears seated at a desk in his bunker apparently awaiting the approaching Red Army. But big and small changes have been made since July 5 when one of the first visitors to the new museum stormed the display, wrenching the head off the 200,000-euro figure and screaming "No more war!" For one thing, a grey wall with three windows now separates visitors from the simulated bunker. There's also a sign requesting tourists to refrain from touching, photographing or posing with the waxwork, "out of respect for the millions of people who died during World War II." The British company defended its decision to persist with the Hitler display despite the controversy it has unleashed in Germany, saying that "Hitler represents a decisive part of Berlin's history which we can't just pretend did not happen."" Henri de Lubac, S.J. (1896-1991): "To be anti -Semitic signifies being anti-Christian". Pope Benedict XVI slammed anti-Semitism as theologically unjustifiable and tantamount to being "anti-Christian" in a meeting with French-Jewish leaders in Paris on Friday. The meeting came on the first day of a four-day trip to France, the pontiff's 10th trip out of Italy since his election in April 2005. "The Church is opposed to every form of anti-Semitism, which can never be theologically justified," he said, quoting French theologian Henri de Lubac as saying he had understood that "to be anti-Semitic also signifies being anti-Christian." 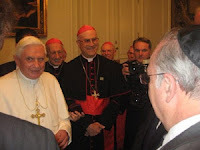 Benedict lamented the victims of anti-Semitism, saying: "Once again I feel the duty to pay heartfelt recognition to those who have died unjustly, and to those that have dedicated themselves to assure that the names of these victims may always be remembered. God does not forget." He called for greater Christian-Jewish understanding, noting that the two religions' "fraternal bonds constitute a continual invitation to know and to respect one another better." Rabbi Joseph Sitruk, a former chief rabbi of France, said after the meeting that it had been a "historic rapprochement between Judaism and the Church."" It seems that only about 1% of Europeans believe that Israel was behind the 9/11 terrorist attacks. How strange that so many Europeans do not know who was behind the attacks, and when they know, like the Germans, 23% (with only 9% of don't knows) point an ugly finger at the U.S. government. "Even in European countries, the majorities that say al Qaeda was behind 9/11 are not overwhelming. Fifty-seven percent of Britons, 56 percent of Italians, 63 percent of French and 64 percent of Germans cite al Qaeda." However, significant portions of Britons (26%), French (23%), and Italians (21%) say they do not know who was behind 9/11. Remarkably, 23 percent of Germans cite the US government, as do 15 percent of Italians. Publics in the Middle East are especially likely to name a perpetrator other than al Qaeda. In Egypt 43 percent say that Israel was behind the attacks, as do 31 percent in Jordan and 19 percent in the Palestinian Territories. The US government is named by 36 percent of Turks and 27 percent of Palestinians. The numbers who say al Qaeda was behind the attacks range from 11 percent in Jordan to 42 percent in the Palestinian Territories. The only countries with overwhelming majorities citing al Qaeda are the African countries: Kenya (77%) and Nigeria (71%). In Nigeria, a large majority of Muslims (64%) also say that al Qaeda was behind the attacks (compared to 79% of Nigerian Christians)." "Denmark is a major government donor of humanitarian and development funds to NGOs engaged in intense political advocacy campaigns directed against Israel – including Al-Dameer, Al-Haq, Badil, B´Tselem, ICAHD and PCHR. Many of these NGOs actively support Boycott, Divestment and Sanctions (BDS) and employ the rhetoric of human rights, international law and apartheid to delegitimize and isolate Israel internationally. NGO Monitor´s detailed research reveals that many of these organizations benefit from Danish funding through multiple channels: direct funding, government-funded Danish NGOs and other European bodies. Such funding is inconsistent with the stated goals of Denmark´s development agency and government, "strengthening democracy, good governance and human rights." DanChurchAid (DCA), a recipient of over $30 million from the Danish government, partners with and funds highly political NGOs that participate in the Durban strategy of isolating Israel through Boycott, Divestment and Sanction (BDS) campaigns, including BADIL, Palestinian Center for Human Rights (PCHR), and the World Council of Churches (WCC). DCA closely identifies with BADIL, which promotes the "Right of Return" and organized "a year-long campaign of public awareness-raising and education about the Nakba and Israel´s discriminatory Apartheid-like regime over the Palestinian people." As the head of a multi-donor secretariat, Mu'assasat, Denmark helped fund 24 NGOs in Israel and Palestinian Authority. Of note, Al-Haq promotes BDS and decries Israel's independence as "Naqba"; Defence for Children International / Palestine Section (DCI/PS) misuses international law and human rights rhetoric to condemn Israel, and falsely accuses Israel of deliberate attacks and "massacres"; Gisha misrepresents Israel's responsibility toward Gaza under international law, opening up Israel to unwarranted criticism. Many NGOs also indirectly receive Danish funds through EU mechanisms, including the European Instrument for Human Rights and Democracy (EIDHR) and the Euro-Mediterranean Human Rights Network (EMHRN). EMHRN, is based in Copenhagen and provides a platform for and promotes the views of problematic and radical NGOs, including PCHR, Al-Haq, Al-Mezan, Public Committee against Torture in Israel (PCATI), and Adalah. "Denmark is one of the largest international donors to the Palestinians […] In 2007 alone, Danish assistance amounted to approximately 35,5 million USD (or almost 180 million DKK). ", Representative Office of Denmark, Ramallah"
"Denmark is also "one of the largest donors to the United Nations Relief and Works Agency for Palestine Refugees in the Near East (UNRWA). In the last five years, Denmark has thus contributed more than 65 million USD to the regular budget and emergency appeals of UNRWA, including more than 14 million USD in 2007 alone." According to a survey, 66 percent of the French have a good opinion of Americans, while 29 percent have a bad opinion (with 5 percent of 'don't knows'). The survey also found that 18 percent of the respondents have a good opinion of President George W. Bush. An overwhelming 86 percent prefer Barack Obama and 35 percent John McCain. The poll was carried out on September 2 and 3 by TNS Sofres for the French-American Foundation and published by Le Figaro. About 1,000 people were questioned. "I am aware that we have partnership agreements with other countries which do not rigorously respect human rights – yesterday we discussed Tunisia - but I do not know of any other country, which, at present, violates international law and fundamental human rights as badly as Israel (…)." Isn't this simply a gross defamation of Israel? Presumably, Ms. Jamoulle was only echoing the Socialist Party’s line. Before leaving his post in 2007, former Israeli Ambassador to Belgium Yehudi Kinar complained about the French Community's unwillingness to ratify the partnership agreement, while cooperating with Lybia and organizing a mega Palestinian festival in 2008. Poster from the Belgian-Palestinian Association (Brussels-Wallonia) website. The poster was created by Oxfam Belgium in 2003 and withdrawn by Oxfam International following a campaign led by the Simon Wiesenthal Center. The first edition of the International Jewish Literature Festival in Italy will take place in Rome from 20 to 24 September. Writers, journalists, critics and emerging talents will gather at the Casa dell'Architettura to present their works and to discuss their views on various themes of Jewish culture. Literature has always played an important role in Jewish culture. Jewish literature is wide and multifaceted, ranging from humorous to dramatic, from fictional to historic, not to mention the infinite array of holy texts and comments thereof. The festival gives a glimpse of this universe which requires a long exploration. Many still remember the controversy that struck the last edition of the Turin Book Fair, in which a tribute to Israel's 60th anniversary brought a number of anti-Israeli demonstrations. According to the organizers, this Rome festival aims at somehow counteracting this prejudice by presenting and analyzing the works of such an important literary tradition. "Many people associate Judaism with little more than the Shoah and Israel" explains Shulim Vogelmann, writer and organizer of the festival together with Ariela Piattelli and Raffaella Spizzichino. "Literature can be a useful tool to reveal its complexity and to show its deepest roots and its most subtle shades," he added. The four-day festival features readings, poetry, panels, discussions, a film screening, and a writing contest, all of this enriched by the presence of a number of special guests." While France is categorically refusing to meet official representatives of the terrorist organization Hamas, the Swedish position has been more pragmatic. During the one hour meeting with the State Secretary of the Foreign Ministry of Sweden, ECI reminded the Swedish government of the three conditions set up by the international community for accepting Hamas as a negotiating power; namely, an immediate stop to violence, recognition of the right of Israel to exist and acceptance of all previous agreements. During the meeting the issue of Palestinian incitement to violence was also raised. According to recent reports this incitement continues to flourish both in the Palestinian media and in school textbooks despite objections from the international community. "Universal values such as tolerance and peace need to be upheld and respected not only in the EU member states, but also in all those countries and organizations that receive EU-funding," stated ECI director Tomas Sandell at the meeting. "Are we using European tax money to promote peace or hatred?" he asked. The Swedish government did not object, but agreed that the EU needs to uphold and promote these universal values through dialogue and mutual respect to avoid direct confrontation and humiliation. The meeting with the Swedish government was part of a series of encounters with European governments that are in line to take on the rotating EU-presidency. During the meeting the ECI also reminded the Swedish government about the fact that this November will mark the 70th anniversary of the Kristallnacht, the Night of Broken Glass. "Faith and values 70 years after Kristallnacht" will be the theme of the Annual ECI Policy Conference in Brussels on 11-12 November where a member of the Swedish Parliament will also be speaking." Opinions will differ over exactly where, or whether, an anti-Israel screed becomes anti-Semitic. Often, the writer or publisher in question may be completely unaware that the words or images they choose have an anti-Semitic provenance. There is a necessary process of education before it can even be asked why a particular metaphor appealed to them, or why they thought it would resonate with their readers. In an effort to measure and track the phenomenon, my organisation, CST, has published its first survey of anti-Semitism in mainstream discourse in Britain. This publication will be produced annually - the first one covers 2007 - and will complement our existing reports into anti-Semitic incidents each year. When neo-Nazis allege Jewish control of the media or government, Jewish conspiracies to cause war or global foment, or Jewish infanticide and bloodlust, and when their propaganda portrays Jews as snakes, dragons or other beasts, nobody questions whether it is anti-Semitic. When similar allegations are made and associations drawn, but about supporters of Israel, not Jews per se, and set in the context of arguments over Israel and the Palestinians, there are plenty of people who cannot, or will not, see the connection between this contemporary discourse and an anti-Semitic past. Neo-Nazis have spotted this, and now also talk about Zionists, not Jews, blurring the distinctions further. Anti-Semitism is not just about the hate crimes that make up the numbers of anti-Semitic incidents that get reported each year; it is also about the ideas, words and images of anti-Semitic discourse." The Le Vif/L'Express article also mentions two "sensitive" subjects which, among quite a few others, are difficult to raise with Muslim pupils: the Israeli-Arab conflict and the Holocaust. This shouldn't come as a surprise to anyone. "Belgian French language magazine Le Vif/L'Express had come out with a five page spread in its August 29th issue about Islam in the Belgian school system. The headline on the cover - "How Islam Threatens the School" - and the article's title - "How Islam Corrupts [gangrenes] the School" - have already drawn criticisms. Sadly, the article itself is not available freely online, though I understand it doesn't really bring any new data. Most schools in Brussels ban the veil, but there are other Muslim requirements from the school system - offering halal food or banning pork, enabling girls to drop gym and swimming classes and not to attend school outings, enabling students to fast at Ramadan, and giving students a place to pray at school. The article claims that teachers and principles feel they can't handle the situation. Not only in the case of science and creationism, teachers feel they're being forced to adapt the curriculum in other subjects such as geography and history so as not to offend students. Part of the criticism is that besides noting that 30% of schoolgirls in Brussels are Muslims, the article does not give factual data on how many such cases of demands there are from Muslim students and parents. I received a response from Karim Chemlal, head of the League of Muslims in Belgium, who accuses the exposé of being shallow and not going into the real debate. He points to a study that says Islam is sometimes used as an excuse by students whose true motive is to provoke the system." "French police search for the aggressors of three Jewish men wearing a kippa or yarmulke who were attacked Saturday by a group of youths of similar age in Paris while walking to a synagogue for the Shabbat office. According to Raphael Haddad, head of the Union of Jewish students in France, the three victims -aged 17 and 18- were struck by stones and blows thrown by a group of ten young men, who later escaped. The victims, who lodged a complaint to police, were treated in hospital. One of them is suffering from wounds at the face. A spokesman for the Interior Minister confirmed Sunday the anti-Semitic character of this attack. "We have enough elements to confirm it," Gérard Gachet, a spokesman for Interior Minister Michèle Alliot-Marie said. The minister condemned «with the utmost firmness the anti-Semitic violence against young Jews going to the synagogue." A similar attack occurred in the same area of Paris’s 19th district on June 22 when Rudy Haddad, a 17-year- old Jewish man was severely injured. He too was wearing the Jewish religious head covering and was leaving a nearby synagogue after Saturday’s prayer office. The Bureau of Vigilance against anti-Semitism, a group monitoring anti-Semitic incidents in France, stressed the growing feeling of insecurity of Jews living in the Buttes de Chaumont area area in the 19th district of Paris. The group urged the French capital’s Mayor to reinforce police forces in the area in view of the upcoming Jewish High Holidays." - Paris' 19th Arrondissement: 'Gang Wars' or Anti-Semitic Attacks? "A member of the European Union parliament this week criticized the practice of pouring European funds into the Palestinian Authority, insisting that it was only perpetuating the conflict by creating a welfare state. Writing in London's Daily Telegraph, MP Daniel Hannan noted that "a welfare state is…the perfect terrorist habitat." He insisted that there is a direct connection between the fact that the Palestinians "receive more assistance, per capita, than any other people on Earth, and live in one of its most violent spaces." Hannan said that as long as the Palestinians "remain trapped in the squalor of dependency," they will be left free to formulate and act upon violent ideologies instead of building their own economic future. In addition to being politically foolish, Hannan also explained that EU financial aid to a Palestinian Authority that includes, and is in fact dominated by, Hamas is illegal. "Many of the PA's officials are Hamas militants, whose salaries are being paid while they serve their sentences in Israeli jails," Hannan noted. "Under Brussels rules, funding such an organization is a criminal offense." The EU has given the Palestinian Authority $500 million this year, and recently approved an additional $80 million." "The 870,000 Jews expelled from Arab countries in the 1940s and 1950s similarly settled quietly in the United States, Europe and Israel. They aren’t out there blowing up Iraqi, Moroccan and Algerian embassies or airplanes, which is why you probably never think about them. The list of people who were displaced by the events of World War II and decolonization is endless. The only group that anyone pays attention to is the Palestinians. If the Palestinians were to stop blowing up airplanes and pizza shops people would stop paying attention. Arab leaders don’t care about non-violent Palestinians. As noted earlier, if you were an Arab leader there is no reason to care about your own subjects, much less members of very distant tribes. The only Arab nation that has offered Palestinians citizenship is Jordan; a Palestinian family that has lived in Egypt or Saudi Arabia for several generations will still be aliens with no right to permanent residence. Thus there are more than 4 million people officially classified as Palestinians refugees despite the fact that the final British census before the 1948 war found only about one million people of all religions living in Palestine. The primary agency for these stateless souls is the United Nations Relief and Works Agency for Palestine Refugees in the Near East (UNRWA). If you visit their web site, you’ll see that the United States and European nations provide almost all of the funding. Historically in fact the western nations provided 100 percent of the funding for UNRWA, but in recent years Saudi Arabia has been shamed into chipping in. For 2002 the Saudis contributed $5.8 million, compared to a U.S. contribution of $120 million and Britain’s $30 million. Most Arab countries contribute less than the cost of a new Mercedes automobile. Violent Palestinians, by contrast, have no trouble getting support from fellow Arabs. In April 2002 the Saudi state television network ran a telethon that raised more than $100 million to aid the families of the Palestinians suicide bombers. Iraqi, which contributes nothing to UNRWA, has been donating roughly $10 million per year to the families of suicide bombers. Iran, another state that contributes nothing to UNRWA, sends weapons and money to anti-Israel groups such as Hezbollah and Yasser Arafat’s army, most notably a 50-ton shipment of rockets and plastic explosives in January 2002 (notable because it was in violation of the agreements that Arafat had signed and because it was discovered and intercepted by the Israel Navy)." Another illuminating example of slipshod journalism and short memories..
A reader of the French daily Directsoir complained that an article (Sept. 3) on the 2004 Beslan school massacre wrongly claimed that it was the first in history involving children being taken hostage and killed by terrorists. In fact, there was a precedent which the article does not mention : the Maalot school massacre perpetrated by Palestinian terrorists thirty years before. The Beslan school massacre - 2004. 334 dead, including 186 children. "It was the first day of classes. (...) That all changed when a group of armed Chechen separatists and Islamic fundamentalists took more than 1,200 school children and adults hostage on September 1, 2004, at School Number One (SNO) in the town of Beslan, North Ossetia-Alania. Little did the children and parents know what the next 56 hours would bring... " Read more here. "The Ma'alot massacre was a school massacre in Ma'alot, Israel, that occurred on May 15, 1974. 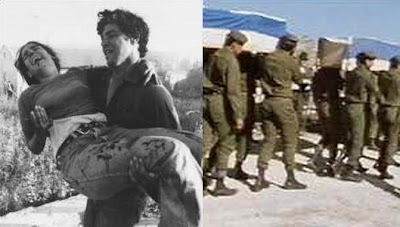 On this date, the 26th anniversary of Israeli independence, three Arabs subsequently identified as members of the Democratic Front for the Liberation of Palestine (DFLP), a faction affiliated with the PLO, broke into the high school in Ma'alot, a community in northern Israel, where a group of 100 14-16 year olds were sleeping on the floor after a day spent hiking. The Arabs had infiltrated into Israel from Lebanon dressed as Israeli soldiers. They first attacked a van bringing Arab women home from work, killing two women and wounding one. They then infiltrated the town of Ma'alot and took over a local school, immediately killing a security guard, a student, and one other person. Some students managed to escape by jumping out of a window, but 90 or so students and some teachers were held as hostages. The hostage-takers presented their demands the next morning: release 23 Arab militants from Israeli prisons, or they would kill the students. The deadline was set at 6:00 p.m. the same day. The Knesset, the Israeli parliament, met in an emergency session, and by 3:00 p.m. a decision was reached to negotiate, but the terrorists refused a request for more time. At 5:45 p.m., a unit of the elite Golani Brigade stormed the building. The hostage-takers were killed in the assault, along with 20 students and one Israeli soldier. Reports vary as to the exact circumstances of the killings. Some reports say that the hostage-takers detonated their grenades and shot the children. All told, 26 victims were killed and 71 were wounded. The names of the 21 students who died during the assault: Ilana Turgeman, Rachel Aputa, Yocheved Mazoz, Sarah Ben-Shim'on, Yona Sabag, Yafa Cohen. Shoshana Cohen, Michal Sitrok, Malka Amrosy, Aviva Saada, Yocheved Diyi, Yaakov Levi, Yaakov Kabla, Rina Cohen, Ilana Ne'eman, Sarah Madar, Tamar Dahan, Sarah Soper, Lili Morad, David Madar, Yehudit Madar."